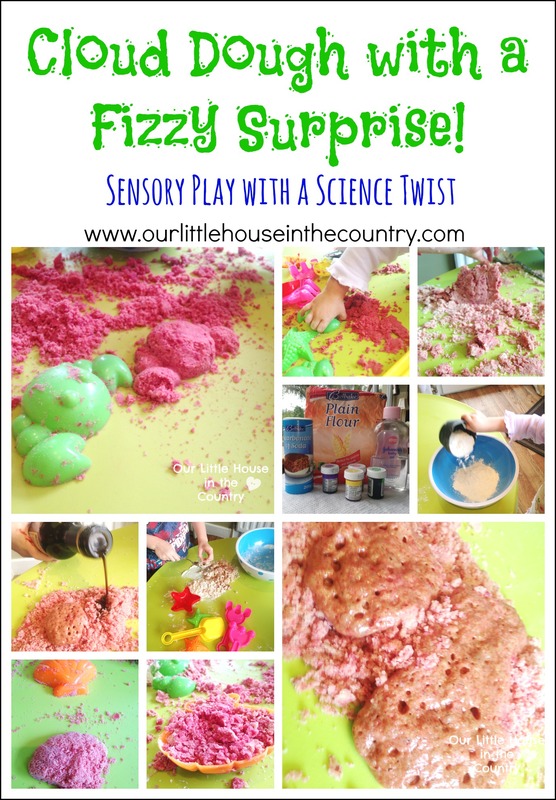 Cloud Dough with a Fizzy Surprise – Sensory Play with a Science Twist! We love to experiment with sensory play, recipes and doughs. Doodles loves doing experiments and he asked if we could do a fizzy one today. Oodles wanted to make dough so I decided we could try and combine both. I gave Doodles and Oodles the ingredients and encouraged them to measure out what they needed by themselves. They loved the texture were delighted to see how easy it was to mould despite being crumbly. Today, I gave them some of their sand toys to use with the cloud dough – rakes, spades, beach themed moulds. They had great fun making star fish and crabs and a wall with the dough. When they were beginning to tire of playing with the cloud dough I produced the bottle of vinegar – we only had balsamic vinegar in the cupboard today but it works perfectly as does lemon juice. As soon as D saw the vinegar bottle he knew exactly what was coming and asked if he could pour it and surprise O! I love giving the kids scope to explore with the materials they are playing with. They both love sensory and messy play and Doodles in particular loves science activities particularly if he can make a reaction! It was great to hear him explaining to his little sister that “adding vinegar which is an acid to ‘carb of soda’ causes it to fizz…watch!”. Very cute! What a great idea! You are doing such a great job of letting the kids get messy and explore inn fun and safe ways. Love it. I have wanted to try to make cloud dough for my youngest son to play with. What a great colourful fun experimental play session. Messy play is always a winner, so when it fizzes too….fantastic! What a fun science experiment! Thanks for linking up to Love to Learn Linky! Thank you! 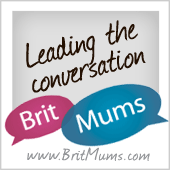 Great linky- so many fantastic posts each week!